Home Unlabelled Why Do You Need IT Infrastructure Management Service for Your Business? Why Do You Need IT Infrastructure Management Service for Your Business? In this day and age, Information Technology has bigger roles to play. This is because business is growing faster, and they require comprehensive IT support and assistance. As a consequence, the infrastructure management is required for managing your IT resources efficiently. By doing so, you will be able to cut down the IT costs as it will let you track all the needed equipment and required processes. It is important for every business to make sure that their infrastructure is in the optimum condition. However, it is equally difficult for them to manage their IT infrastructure. To establish a state of the art IT infrastructure or manage the IT infrastructure, you need a perfect combination of technology, people, and processes. Using this, you can easily align your IT systems with the objectives of your business. IT infrastructure management services providers help their clients by tackling and monitoring their servers, databases, networks, and applications. In fact, they handle every possible help to restructure their IT operations to meet the industry demand and manage costs and operations with much flexibility. Data Center Infrastructure Management, end-user computing, application support, technical support, data center services, operations and management, network management, security services and much more. Data Center Infrastructure Management: Data Center Infrastructure Management includes monitoring data center resources and optimizing them 24x7 to meet the needs of the hour. End-User Computing: The service providers also deal in customizing workplace services that significantly improve productivity, data management, processes and security across your company. Application Support: Application support is other series of service provided by IT infrastructure management services providers. Experts consistently optimize application performance and availability. They make sure all the applications and services are in their best conditions. Technical Support: When you outsource managed IT service, you will be assisted by high-qualified engineers who will incorporate customer profiling and conduct predictive analytics to remote and on-site services portfolio. Data Center Services: The service of IT infrastructure exerts also include data center services. It is the place where all initiatives to bring business perfection, innovation and agility are built. Effective data center services keep IT operations running effectively. They are paramount to ensure the success of every transformational IT project. Operations and management: Execution and operational excellence are the foundation stones of any successful business. They drive efficiency in the operations, and any business strategy will fail to yield the best results in their absence. A reputed IT infrastructure service provider applies a comprehensive approach. Professionals make sure that the infrastructure of their clients’ enterprise operates as designed while unceasingly optimizing the output. 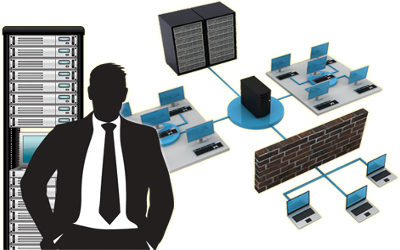 Network Management: Managing network is one of the most crucial parts of every IT company. The network plays an effective role in connecting business applications with its partners, customers, and personnel. If you cannot access to these applications, your business will fail to function properly. Hence, today’s businesses are focused on establishing a secure and robust network to drive collaboration, remain agile and keep data secure. To speed up your business growth, you need to comprehensive IT support. And IT infrastructure management services providers are meant for this. When you have ultra-modern IT infrastructure, and you are able to manage the network, operations, data, applications, you will have greater flexibility, improved asset utilization, and cost-efficiency. You will grow your business faster than ever. It is therefore important to establish a state-of-the-art-IT infrastructure with the help of an IT infrastructure management company. Wow what an informative article. Loved reading it. Thanks Sandeep. Thanks Abhideep for enjoying it.